Today's nursing students are busier and more pressed for time than ever. 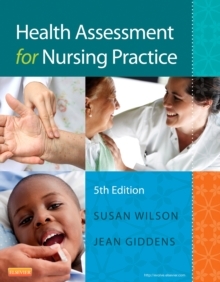 The good news is that Health Assessment for Nursing Practice, 6th Edition caters to your needs by focusing only on the information you need to master the core assessment skills and thrive in clinical practice. In addition to its focused content, you can look forward to straightforward and easy-to-understand language; vivid photos; clean page layouts; and of course the latest information on topical things like electronic documentation, QSEN competencies, and cultural considerations. Plus, with its abundance of engaging learning tools - like case studies, procedure videos, animations, and insightful call-outs - you'll be able to maximize your learning AND study time!Straightforward, easy-to-understand coverage gives readers the knowledge and confidence to perform a complete physical examination. Clear differentiation between basic skills and advanced procedures or special-circumstance procedures helps readers pinpoint essential assessments. Two-column format creates a visual distinction between normal and abnormal findings and techniques. Vivid full-color photos walk readers step-by-step through key assessment techniques to better understand key abnormalities. UNIQUE! Concept Overview boxes present core concepts in the context of health assessment, with discussions of pain, oxygenation, perfusion, tissue integrity, motion, sensory perception, metabolism, and intracranial regulation. UNIQUE! Clinical Reasoning boxes explain the thought process of an experienced nurse making a clinical decision to help readers gain expert perspective on clinical judgment and the decision-making process in nursing practice. UNIQUE! Patients with Situational Variations sections address special circumstances or needs for patients in wheelchairs or other limitations and exam variations. Documenting Expected Findings sections demonstrate how to chart normal findings -- a perpetual area of struggle among nursing students. Review questions in the book help assess reader's understanding of need-to-know content. UNIQUE! 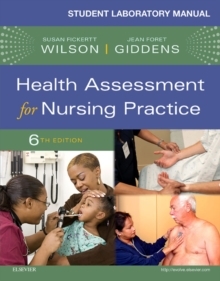 Case studies at the end of each chapter give readers practice in developing clinical reasoning skills in the context of health assessment and physical examination. UNIQUE! Adapting Health Assessment to the Hospitalized Patient chapter explains special techniques for performing a head-to-toe assessment of a patient in a hospital setting. Health Promotion for Evidence-Based Practice boxes apply the U.S. government's Healthy People 2020 objectives and include thorough discussions of recommendations for health promotion and reducing risk. Ethnic, Cultural, and Spiritual Variations boxes help readers anticipate the unique needs of a multicultural patient population. 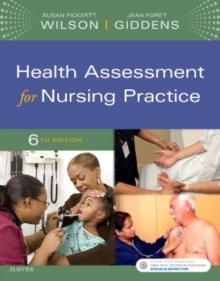 Health Assessment Across the Life Span unit contains four separate chapters that cover all lifespan content, including older adults, pregnant patients, and infants, children, and adolescents. Synthesis and Application of Health Assessment unit details how to conduct, document, and adapt the head-to-toe examination. NEW! Refocused and streamlined content eliminates "content saturation" by drastically reducing the amount of advanced practice and examination procedures, techniques, and content that are applicable to nurse practitioner levels; thus keeping readers focused on the most common and important learnings and procedures. NEW! Student laboratory manual (sold separately) provides an invaluable resource for mastering physical examination. NEW! Improved page layout features a less cluttered and more reader-friendly look thanks to the removal of extraneous tables and illustrations. NEW! Improved text design includes updated fonts, photos, and illustrations to make the material more readable and the concepts easier-to-understand. NEW! Two new concept overviews incorporate the physiological principles of metabolism and nutrition into text material. NEW! Updated electronic documentation content ensures accuracy and congruency with the most current technology and best practices. NEW! Updated ethnic/cultural/spiritual variations content reflects the latest trends currently being seen in practice today.